Cirrhosis is chronic, end-stage liver disease in which normal liver tissue has been replaced by fibrous scar tissue. Your cat needs approximately 20% of normal liver function to survive. When cirrhosis occurs, scar tissue replaces functioning liver cells. If normal liver function falls below 20%, the disease becomes terminal. 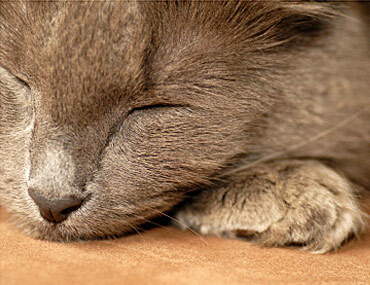 Cirrhosis can happen at any age, but is most common in cats older than 7 years of age. Cirrhosis occurs as a result of damage to the liver by many diseases, drugs, or toxins. Common diseases that may lead to cirrhosis include cancer as well as viral, bacterial, and fungal infections that cause hepatitis (inflammation of the liver). Certain toxins and long-term use of some medications, such as corticosteroids and common pain-relieving medications, can also cause cirrhosis. Therefore, it is crucial to have your cat’s liver function monitored when he is on certain medications. Treatment for your cat will vary depending on the underlying cause of the liver damage and cirrhosis. The good news is that treating the underlying cause of cirrhosis can, in many cases, stop the progression of the damage. The prognosis for your cat depends on two factors: how much of the liver’s function is impaired and the ability to treat and control the underlying cause. The most effective prevention of cirrhosis is to address liver disease as early as possible and maintain your cat’s preventive health care to avoid any situation that may cause liver disease.